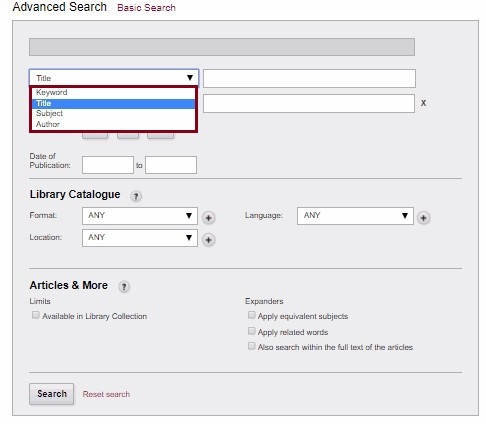 To find a book by its Title, type it into the Search bar on the Library's home page. You can also use our Advanced Search feature and choose Title as your search parameter. If you don't remember the complete title try searching for as much of it as possible. If you're retrieving too many irrelevant result try putting the title in quotation marks. If the book is not part of our collection you can request it for free from another library using RACER Interlibrary Loans. If known you can try searching directly for the Chapter that you are interested in. It is helpful to place the chapter title in quotation marks when searching. the Library does not have a complete listing of chapter titles so this search method may not bring back the desired results.